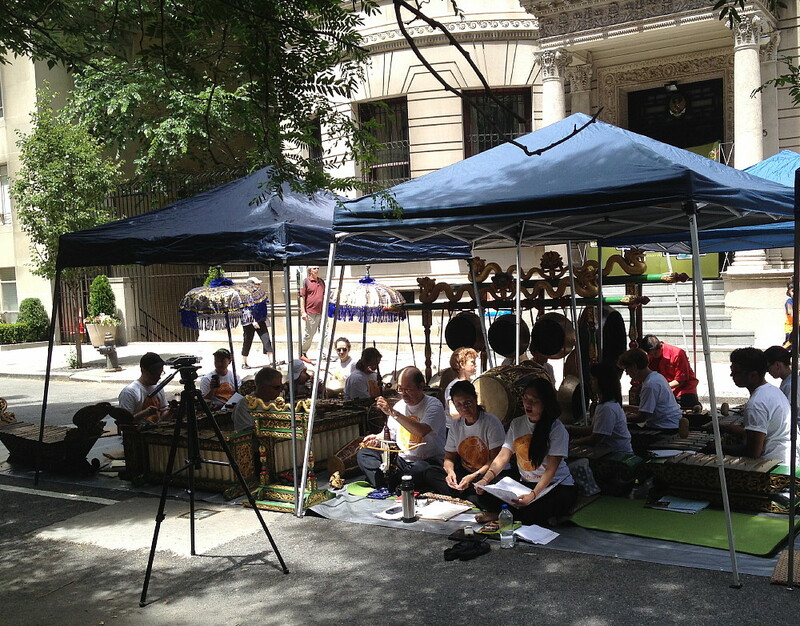 Gamelan Kusuma Laras will be holding our second (free!) annual outdoor klenengan as part of Make Music New York this year, and you’re invited! Come drop by outside of the Indonesian Consulate on East 68th between Fifth and Madison anytime between 1pm and 6pm on Sunday, June 21st. We’ll be playing the traditional court music of Central Java, along with accompanying members of Saung Budhaya for a Solonese version of the Sundanese Tari Merak! We’ll also be playing a few gendhing from our recent concert, several recognizable favorites, and even more—all lead by our fantastic artistic director I.M. Harjito. This entry was posted on	June 15, 2015 at 10:38 am	and is filed under Uncategorized.